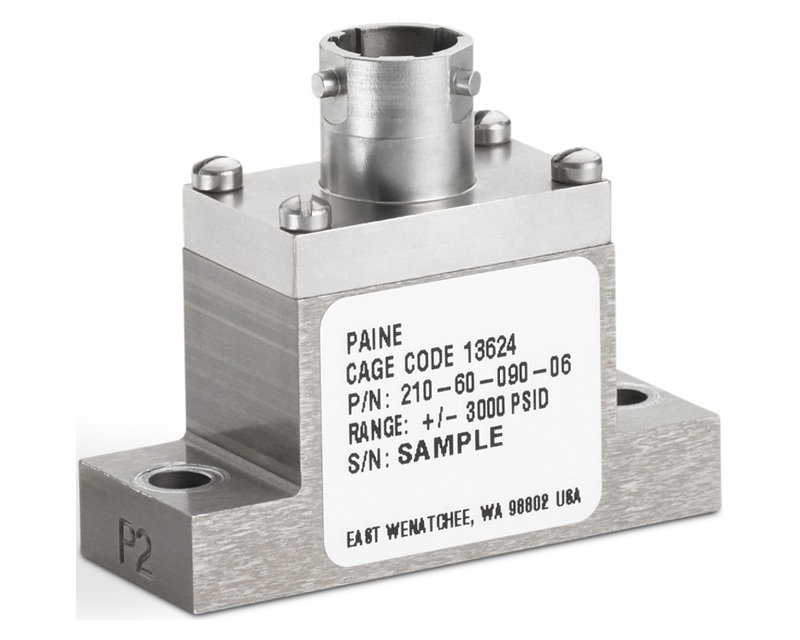 The Paine™ 210-60-090 differential pressure transducer series from Emerson offers measuring pressure ranges from ±500 PSID up to ±5000 PSID all in a small size. The 210-60-090 from Emerson is built with two separate sensing elements to measure the pressure at the input ports. This device has a very low thermal shift of ±0.01% of full scale per °C in the toughest environments and provides a differential output along with a uniquely small design. This transducer series is ideal for measuring differential pressure in many applications, such as actuator position feedback from servo valves to automotive and aviation testing environments. 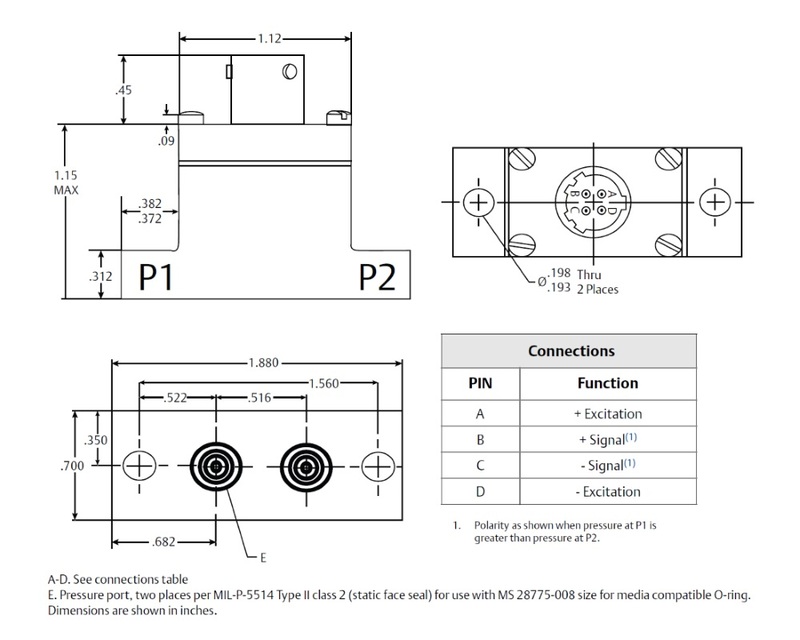 Differential pressure transducer with a very low thermal sensitivity shift of ±0.01% of F.S. per°C. Small, lightweight manifold style mounting for easy installation, temperature compensated design provides highly accurate pressure measurements and shock and vibration resistant design offers highly accurate and reliable pressure monitoring in many operating conditions. Durable solution withstands harsh environments for long-lasting performance with a custom electrical connection and pressure port adaptors are available on request. 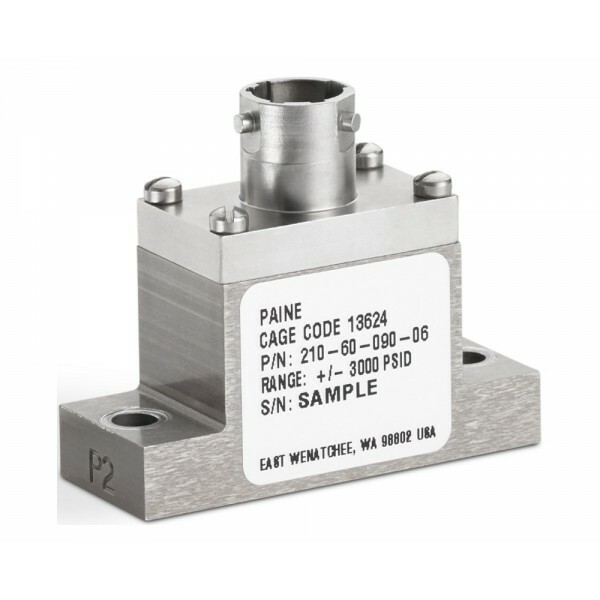 The Paine™ 210-60-090 differential pressure transducer series from Emerson offers measuring pressure ranges from ±500 PSID up to ±5000 PSID. This transducer comes with two separate sensing elements to measure differential pressure at the input ports. This device is shock and vibration resistant, produces highly accurate measurements in harsh and demanding conditions. The 210-65-010 differential pressure transducer from Emerson is engineered to ..